Posted on 08/30/2018 by Mickey McCarter	in Live Review and tagged Haiti, hip hop, Howard Theatre, rap, The Fugees, Wyclef Jean. Wyclef Jean released Carnival III: The Fall and Rise of a Refugee, his eighth studio album, last year via Heads Music and Sony Music. 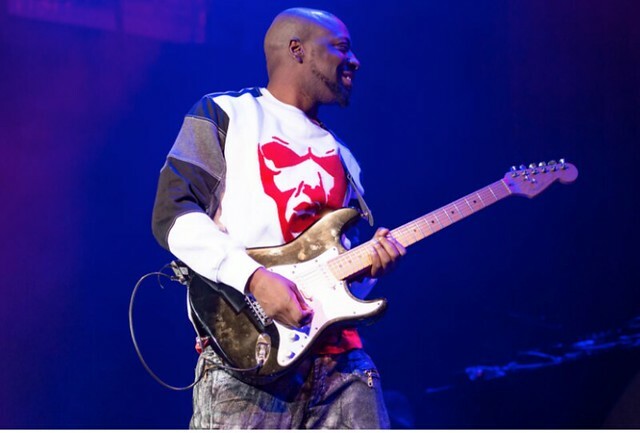 Afterward, Wyclef launched The Carnival Tour, which visits the Howard Theatre on Friday, Sept. 7. On the Heads Music website, Wyclef tells his story like he’s talking directly to you — but isn’t that always his way? “But thank God for my Momma, she taught me the real weapon was not a gun but my guitar and my voice. In my daddy’s church I was like Eddie Kane from The Five Heartbeats – minus the drugs and the downfall – I’m talking about his swag,” Wyclef writes. Carnival III: The Fall and Rise of a Refugee was Wyclef’s first album in eight years. Of course, he’s previously known for his solo work and for founding the Fugees, who released their seminal album The Score in 1996. It’s worth turning up at the Howard alone for the possibility that Wyclef might perform “Killing Me Softly” with his protege Jazzy Amra! As a solo artist, Wyclef has released six albums that have sold nearly nine million copies worldwide, including his 1997 debut The Carnival and 2000’s aptly titled The Eclectic: 2 Sides II a Book.